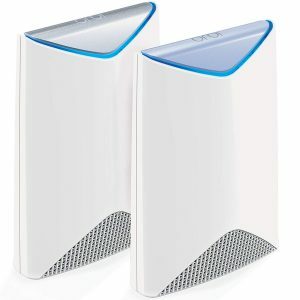 A business owner can also register, set up, monitor and manage the Orbi Pro mesh WiFi system locally and remotely, using NETGEAR Insight, both through the NETGEAR Insight app and NETGEAR Insight Cloud Portal. 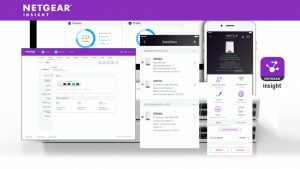 The NETGEAR Insight cloud portal can be accessed online here, and the NETGEAR Insight app can be downloaded for free from the Apple App store or Android Plays Store. User/Owner will see the list of all that are connected into the Orbi Pro system devices and can remove or block them from connecting to that device. User can have 3 SSIDs and can add security, including preventing other devices from accessing the internet unless the user knows the security key. User can configure the IP Address, Subnet Mask, Start IP, End IP or Enable DHCP Server. User can configure the External IP Address, Gateway IP Address, Subnet Mask, DNS or Enable DHCP Server. User can monitor and track internet download & upload speed usage from today, yesterday, this week, or this month. User can add up to six Pro Satellites to the Orbi Pro Router. Together, Orbi Pro and Insight enable SMBs to set up the WiFi necessary to keep their customers happy, connected and engaged.